You are serious about mining cryptocurrency, but not certain over which one should you mine? To determine the profitability of mining any coin a lot of factors need to be taken into account. This includes the cost of hardware and the energy needed to power it, as well as the return each miner delivers. Well, if you need clues on what coin to choose, just ask Google. It will offer an array of websites that will help you calculate the profitability of mining a specific digital currency, with WhatToMine.com probably being the most popular one. 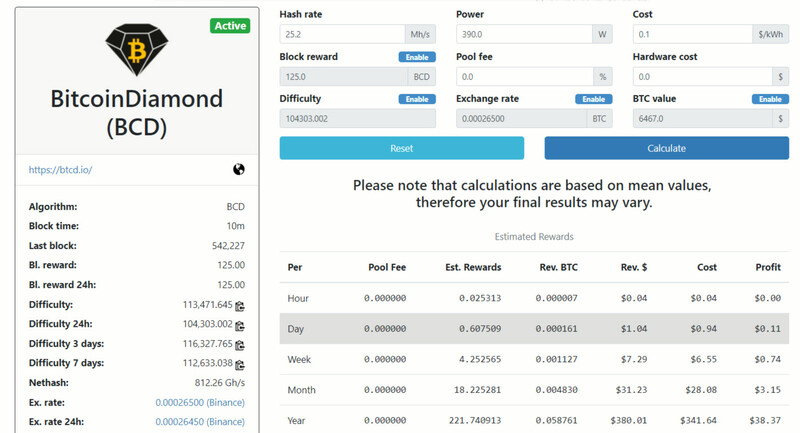 The website provides an easy way of calculating mining profits for crypto coins miners. It allows for the calculation of profitability with both traditional and dual mining. Before getting started the only information you should know is your GPU model and electricity cost of the area where you plan mining. To use the service, you can just input your graphics card and choose from a list of popular GPUs. Top row is for AMD cards and bottom row is for NVIDIA cards. If your GPU model is listed there then all you have to do is just enter the number of GPUs. AMD cards are highlighted in Red and NVIDIA cards are highlighted in Green. For example, enter 5 in 1070 field if you have 5 GTX 1070 and click on 1070. If you have a combination of different GPU models (a mining rig) then enter their number and highlight them. You’ll then see your card hash rates being filled in automatically. 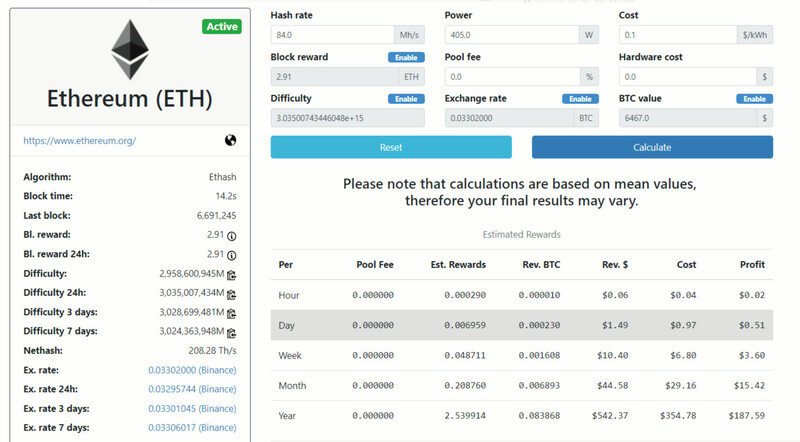 Based on your input the website should now display the list of coins and algorithms that are profitable to mine in comparison with ethereum. Scroll down for the results. You can deal with ASICs in the same way. Just go to the ASIC tab and choose the hashrate of your devices. After pressing “Calculate” you will be presented with a table of daily/monthly rewards. Using the table which can also be seen below, you can check how profitable it is to mine selected altcoins in comparison to bitcoin. Calculations are based on mean values, therefore your final results may vary. SHA-256 values are adapted for Antminer S9, Scrypt for 2xL3+ and the rest for the equivalent cost of one S9. The third section – Coins – allows calculating the rewards for each coin. We get the detailed table with estimated rewards per hour, day, week, month and year. All the other website tabs work in the same way. However, for dual mining, you will have to enter twice as many values. WhatToMine.com was launched in April 2014 by a BitcoinTalk.org user named Fredeq. You can get in touch with the website’s development team by filling out the contact form. The website features small, unobtrusive banner ads, which appear to be the only method of monetization. There are a number of other websites that offer ways to check profitability of mining, including CryptoCompare, Crypt0.Zone, Nicehash.com, Btc.com, Crypto-Coinz.net, Ccgmining.com, etc.